Q4: Can be customized9 , A: OEM, ODM and customized are brand is accepted Q5: What about the lead time9 A: 3-5 days for samples. 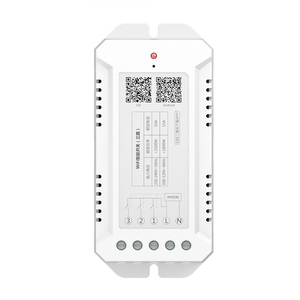 Orders within 10-35 days , Q6: What's your MOQ9 A: MOQ:100 pcs for smart products. 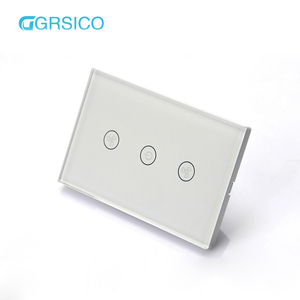 2000pcs for wall switch and socket. Also, you can cancell the setting, and do new setting related control or multi-control between different panels. Our products are widely installed in Adams Hotel, Hyatt Hotel, Empire Hotel, Hilton Hotel, Westin Hotel. Please inform us formally before our production and confirm the design firstly based on our sample. 2 YRS Changzhou Zhong Xin Decoration Engineering Co., Ltd. If you need other color, we can custom made for you. We hope to cooperate with you and growing together. We can according to your requirements to develop new mold. 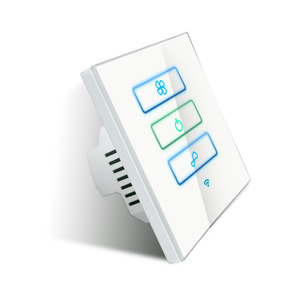 The remote wall switch's LED backlight lets users easily find and turn on the lights at night. 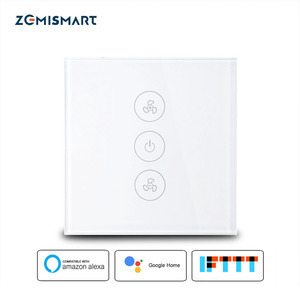 The WiFi wall switch can be used to control lights or home appliances. Q:Is there any tracking Number for my item9 A: Yes, we ship every order with the Tracking Number, and you can scan the shipment status on the corresponding website. 1 YRS Chongqing Share Appliance Manufacturing Co., Ltd.
&sup2; If there is any quality problem, we will compensate for the unqualified products. Step 5: Finished products test: Testing for sensitivity, dual-control study and all functions. Step 6: Aging test: Sensitivity test, performance test including of remote control, lighting and so on. 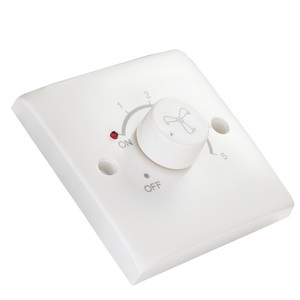 Alibaba.com offers 6,557 speed control switch products. 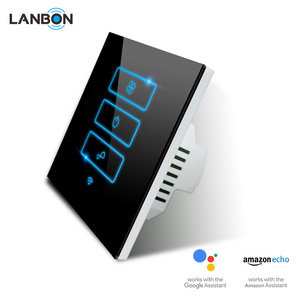 About 11% of these are wall switches, 4% are integrated circuits, and 2% are push button switches. A wide variety of speed control switch options are available to you, such as industrial, level sensor, and position sensor. You can also choose from laser engraving, laser cutting, and beverage. 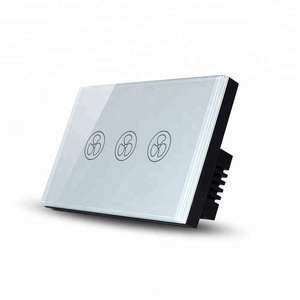 As well as from ultrasonic sensor, inductance sensor, and optical sensor. 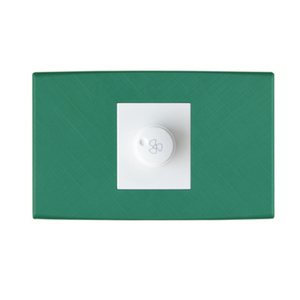 And whether speed control switch is plastic, metal, or pvc. 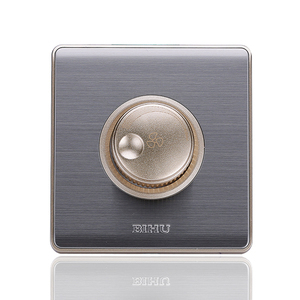 There are 6,557 speed control switch suppliers, mainly located in Asia. 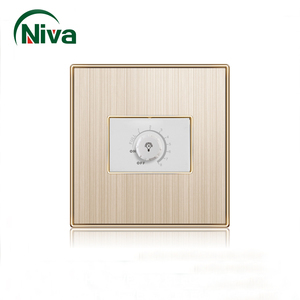 The top supplying country is China (Mainland), which supply 100% of speed control switch respectively. Speed control switch products are most popular in North America, Western Europe, and Mid East. You can ensure product safety by selecting from certified suppliers, including 1,409 with ISO9001, 628 with Other, and 282 with ISO14001 certification.